Posted by Brendan Samuels on March 13, 2018 in Basketball, Sports, Top Dawg. The Ferris men’s basketball team is on a roll in the postseason and it seems only fitting that a member of their squad be crowned this week’s Top Dawg. Senior wing Noah King has become a major part of the Bulldogs’ offensive scheme and he displayed his talents over the past week. King’s memorable week began when his squad earned an 85-66 victory over the Ashland Eagles in the GLIAC Tournament Semifinals Saturday, March 3. King torched the Eagles’ defense, putting up 24 points, five assists and three rebounds while going 7/11 from 3-point range. The matchup on March 4 with the Lake Superior State University Lakers in the GLIAC Tournament Championship saw King display his offensive prowess once again. The senior recorded 12 points and three steals in the Bulldogs 69-61 win. High off their fourth straight GLIAC Championship, the Bulldogs headed into the NCAA Division II playoffs. King made his presence felt once more, scoring 10 points and adding two steals and four rebounds. King finished off his week with 14-point game in a victory over LSSU in the NCAA Division II Midwest Region Semifinals. The men’s team now stands at 34-1 on the season and has won 22-consecutive games. 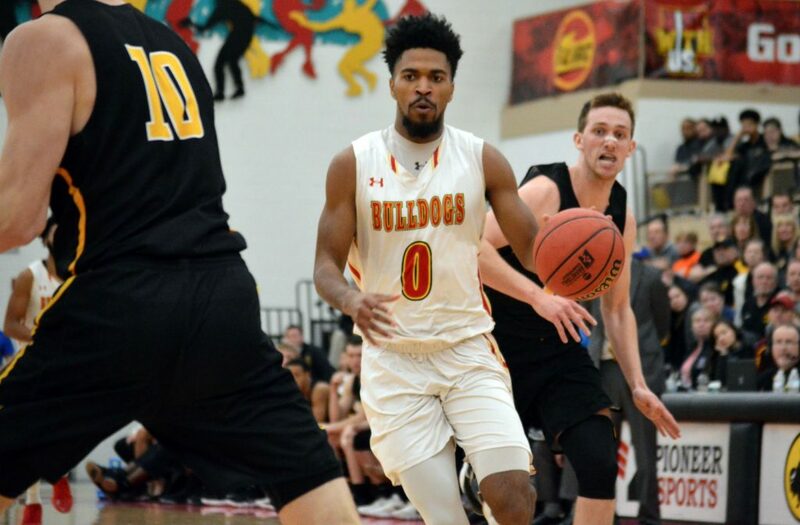 The Bulldogs have now advanced to the NCAA Division II Midwest Region Finals where they took on the University of Findlay Oilers at 7 p.m. Tuesday, March 13, in Wink Arena. Click here for the previous Top Dawg, representing the women’s basketball team.